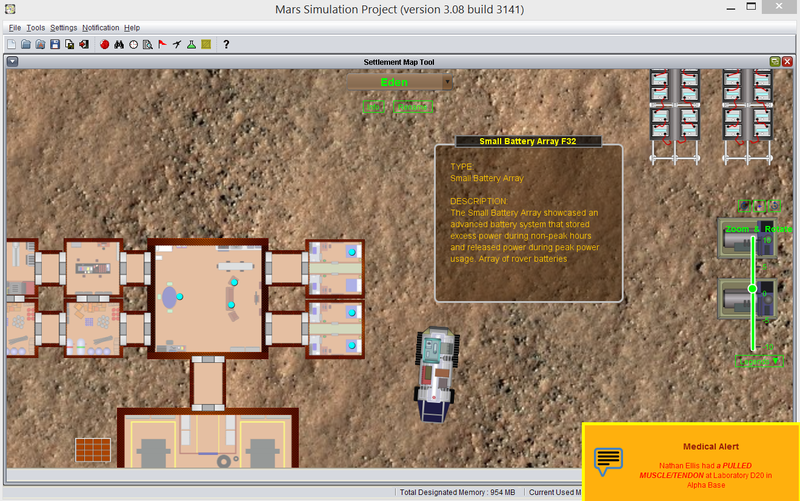 The Mars Simulation Project (mars-sim) is an open source Java project aiming at building computer models that characterize important aspects of establishing human settlements on Mars. Have you ever been fascinated by reality TV shows in which how contestants survive each test? Some are natural-born team players but they are put to test by having to compete against one another instead of teamworking. Some are loners by traits and have to work pass suspicion and mistrust to collaborate with others to accomplish some mutual goals. First and foremost, what mars-sim attempts to model is the professional relationship of the early settlers. There are jobs to get done in developing the settlement. Therefore, we model each settler with personalities, a list of natural attributes and job skills, and a set of preferences (likes-and-dislikes on a bunch of task). We define an assigned role and a job position for each settler with a myriad of tasks to perform. While most tasks are done independently by an individual. Some require teaming up with others to get done for the settlement. There is also description indicator showing the level of relationship (how close or how adversarial) between any two individuals. 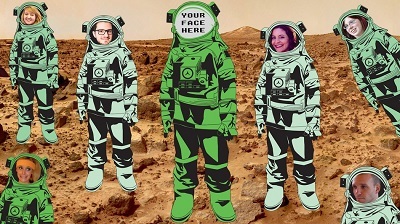 With private ventures such as SpaceX offering new vision of going to Mars and the Mars One Foundation seeking to recruit future settlers on a one-way ticket to Mars, mars-sim is giving the audience a preview of the coming attractions in unraveling the intricate innerworking of establishing a human foothold on Mars. The good news is that, unlike in a TV soap opera in that the relationship dynamics of the characters are scripted to appeal to a qualified audience, actions and reactions of each settler in mars-sim are emergent and non-linear. They interact with the environmental conditions and with one another as they develop their settlement. Their personality and natural attributes can positively or negatively affect the social networking. Just like in real life, the bonding between any two individuals gets strengthened with positive exchange or degraded over time when less contact is made. a. What types of psychological profile of the team should I select for each mission going to Mars to jump-start a colony vs. sustain the settlement? b. How many of them should I send on each mission, accompanied with what resources, parts, equipment, vehicles, and building modules? c. How often should I send these resupply missions to seed each existing settlement or to start a new outpost nearby? d. What interventions do I need to do to ensure these settlers balance between their own personal needs and the collective needs? 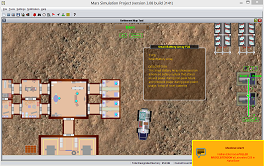 In mars-sim, you will have an opportunity to flesh out your own ideas and hypotheses. 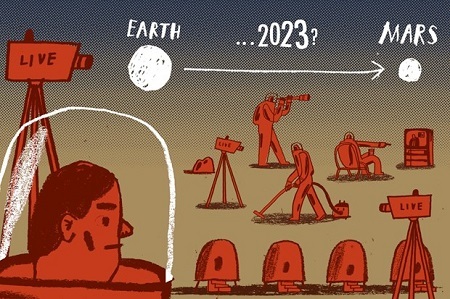 Robert Zubrin once proposed four phases in the economics of Mars colonization. 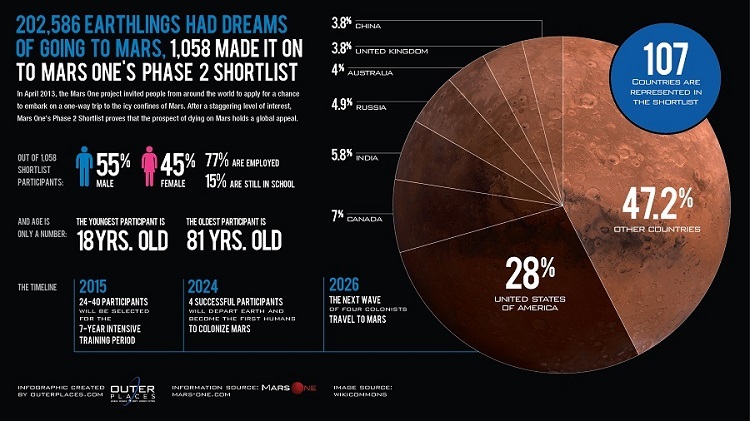 Each represents a new progressive stage of increased human activities toward building a human civilization on Mars. (4). 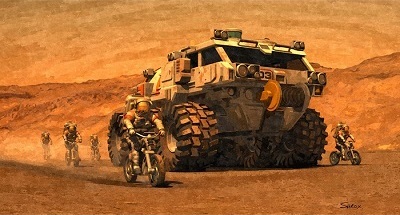 TERRAFORMING : altering global climate, large scale geo-engineering, permanently transforming human surface activities. mars-sim borrows from a variant form of the Mars Direct plan proposed by Zubrin and Baker in 1990s. Select 'New Sim' in the Main Menu will take you to the Simulation Configuration Editor. By default, you are presented with two settlements, namely a Mars Direct Base (Phase 1) with 4 settlers and an Alpha Base (Phase 4) with 24 settlers. You are free to reconfigure this template. In version 3.1.0, users may designate a space agency to sponsor each settlement. The names of the settler will be auto-generated to suit his/her national origin, based on the space agency chosen. 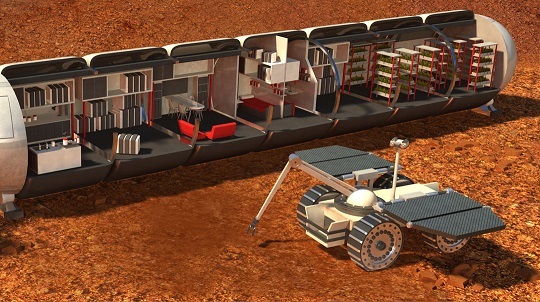 In terms of resupply mission, for a Mars Direct Base Phase 1, the built-in resupply schedule will send one new mission each Martian year (668 or 669 sols) for the next 3 years to replenish existing settlements. 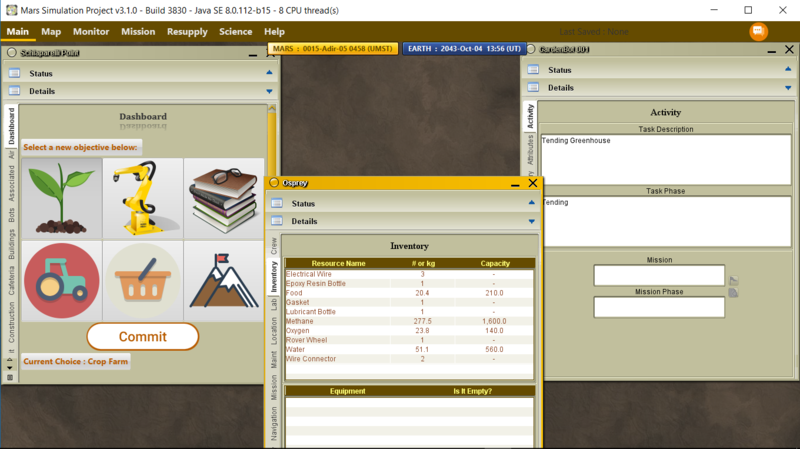 Using Resupply Tool, users can tweak the launch/arrival date, the number of settlers and the type/ quantity of supplies (including buildings, equipment, vehicles, resources, and parts). Each settler is assigned with a Job which will determine a list of relevant tasks and missions at a given Work Shift. 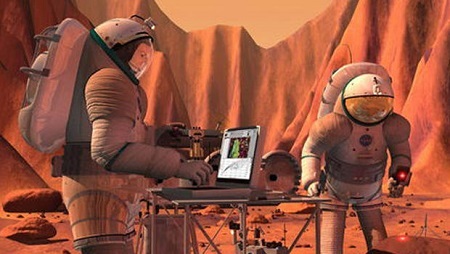 There are a variety of Job in mars-sim: Architect, Areologist, Astronomer, Biologist, Botanist, Chef, Chemist, Doctor, Driver, Engineer, Manager, Mathematician, Meterologist, Physicist, Technician, and Trader. Users can change a person's Job in the Activity Tab. In version 3.1.0, each settlement will have a leadership structure. For a settlement with less than 47 settlers, the hierachy comprises a commander, and sub-commander and a list of chiefs and a list of specialists. FOr a settlement with 48 people, a mayor will be elected. Each settler will have a given Role based on his/her natural attributes and skills. The roles are not fixed and can change over time. A person's Skills Tab will show his current level of achievement on each skill subject. Each individual has a blend of academic skills (such as Aerology, Astronomy, Biology, Chemistry, Mathematics, Meteorology, Physics, etc.) and survival skills (such as Botany, Cooking, Construction, Driving, EVA Operations, Material Science, Mechanics, Medicine, Trading, etc.) that will contribute to the survival and sustainment of the settlement. When a settler takes up the role of a chef, the corresponding skill--namely cooking-- will improve. The one whose skill is higher level may mentor one whose skill is lower. Over time, settlers may cross train among themselves to improve skills or acquire new skills. With overlapping skills, settlers depend on one another to get through disasters and catastrophes. Settlers perform tasks and activities according to their personal needs and the collective needs of the settlement. 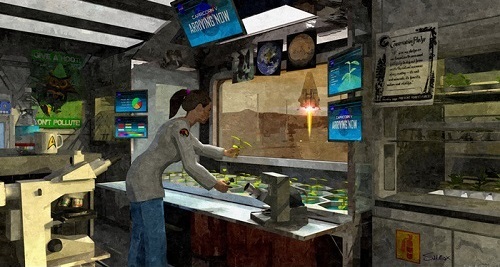 There are a myriad of tasks such as Growing crops, Sleeping, Cooking, Relaxing, Exercising, Doing Yoga, Eating a Meal, Performing Maintenance, Performing Experiments, Manufacturing, Tending Greenhouse, Entering/Exiting EVA, Driving Vehicle, Collecting Resources, Perform Study, and Teaching, etc.. Some tasks are more career-oriented than others. As you can imagine, chefs prepare meals, botanists tend greenhouses, technicians perform maintenance, engineers manufacture needed parts and equipment from local resources, etc..
Settlers also form tag teams to explore treacherous terrains, prospect rock samples and mine minerals. Based on supply and demand, they will set out excursions to trade with neighboring settlements as there are hundreds of items called "Trade Goods". Some of these items may be in surplus on one settlement but are in wants by another settlement. On the other hand, some settlers may have overwhelming scientific ambitions to just stay put and write proposals and conduct scientific study. Their goals would be earning Scientific Achievement Credits. As the primary researchers, they recruit collaborators on their projects. Without a doubt, settlers of Mars are pioneers of the next human frontier. In version 3.1.0, a radiation exposure modeling based on NASA's studies has been partially implemented to make it realistic. There are 3 possible type of radiation events : (A). The Baseline (B).the Galactic Cosmic Radiation (GCR) (C). Solar Energetic Event (SEP). Each with different level of radiation with SEP the highest level of exposure. The 3 body regions where the exposure are to be tracked are (1) Blood Forming Organ (BFO) (2) Ocular (3) Skin. In our modeling, there are 3 intervals (or counters) for the exposure: (1) 30 days (2) Annual (3) Career. e.g. for BFO, the max limits are set to be 250 mSV for 30 days, 500 mSV for Annual and 1000 mSV for Career. As a side note here, the Mars rover Curiosity received an average dose of 300 milli-sieverts (mSv) over the 180-day journey. Note that 300 mSv is equivalent to 24 CAT scans, or more than 15x the annual radiation limit for a worker in a nuclear power plant. One must be reminded that in the forseeable future, Mars is a by-and-large dangerous and unforgiving world. Survival hinges upon how well each settler responds to situations and how well they pull together as a team. Equipment can malfunction and building break down and require maintenance. There are times when one has to go out on a rescue mission to tow a stranded vehicle back to the base. 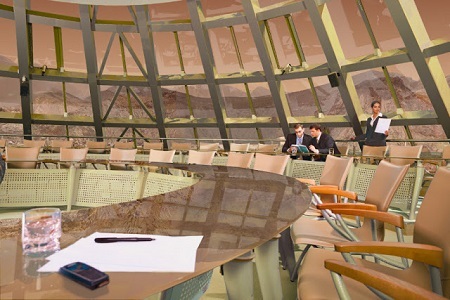 mars-sim simulates the overall professional relationship for the future settlers on Mars. Each settler bears an imprint of one's gender, date of birth, weight, height, BMI, age, blood type, a personality profile based on Myers-Briggs Type Indicators (MBTI) and Five Factor Model (FFM), and a set of natural attributes (such as Agility, Academic Aptitude, Attractiveness, Conversation, Endurance, Experience Aptitude, Leadership, Strength, Stress Resilience, and Teaching). These characteristics set in motion on how well a person interact with his/her team and others socially and professionally. One can track how a person relate with another with the Relationship Tab. Suffice to say that each settler with one's personality types, coupling with his unique set of natural attributes and professional skills, create the destiny of his/her own. A person's Science Tab lists the ongoing and finished scientific studies with others and the scientific achievement in his/her areas of endeavour. The Settlement Map provides each settlement a visual overview of the whereabout of each building, settler, bot and vehicles. You can see how buildings are seamlessly interconnected via hallways or tunnels. The Settlement Info Window provides clues on how well each system is functioning behind the scene. No two settlements are alike. You can make each settlement unique by having distinguishable mission footprints and infrastructures and by ways of how settlers behaves. Beginning version 3.1.0, each settlement has an objective-- the overall development objective that certain activities such as manufacturing and food production processes tend to gear toward. As settlements grow and more buildings are shipped in or being constructed on site according to the needs, diversity of specialty function results. 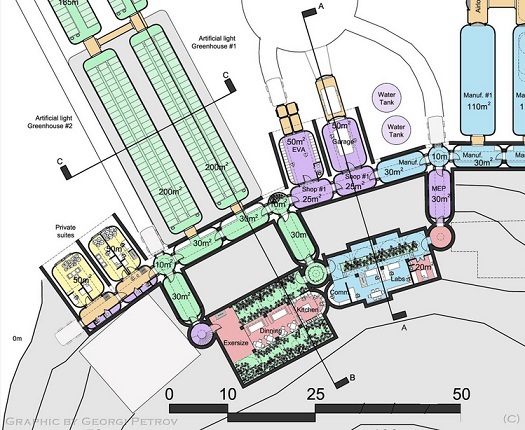 It's not difficult to imagine a settlement would become an university town housing numerous laboratories attracting academically driven settlers to perform research studies on various disciplines. A green haven may have a large number of interonnected greenhouses experimenting with crop genetic that gives better crop yield having a company of biologists/botanists. A makers town is one that consists of a lot of workshops/manufacturing shed providing high industrial throughput and attracting influx of creative individuals to tinker with tools to produce new parts and equipment. Also, mining outposts will be sprouted up everywhere along a resource-rich basin/region that provides a continuous supply of minerals. 1. In MacOS, the Tab bar does NOT work and will freeze mars-sim if clicking on it. Recommend using MacOS's style top menu to gain access to each Tool. 2. In Linux, the spinning 3D Mars Globe has unwanted black shadow artifact. 3. Not compatible with 32-bit Java 8. 1. Add robots (Chef bots, Handyman bots, Garden bots, Medic bots, etc..) to lighten the load of the daily tasks in the settlement. 2. Add new battery charging/discharging model for the power grid batteries that store unused/excess power for future use. 3. Add wash water rationing. Activate rationing if water stored at a settlement is less than 10% of their yearly drinking water needs. 4. Add the ability to tweak how much fuel and life support consumable to bring for each mission via an element/attribute in xml. 5. Refactored the meteorite impact calculation in MeteoriteImpactImpl.java and completed Part I and II below. Note: any observable impact will increase the stress level of the settlers on that building if his/her natural attribute of courage and emotional stability are not high enough. a. Calculate the probability of impact per square meter per sol on the settlement, assuming the meteorite has an average impact velocity of 1km/s, critical diameter of .0016 cm and average density of 1 g/cm^3, per NASA study. 6. Added radiation exposure tracking for each settler (in the existing "Health" tab). a. Minimized or prevented EVA operations during intense Galactic Cosmic Rays (GCR) and Solar Energetic Particles (SEP) events for reducing radiation exposure. Refactored probability of exposure to conform better to NASA study. 7. Apply LZMA2 compression and reduced the size of saved sim by 5-10 times. a. Add a tab bar on top and segregate most Tools into their own tabs. b. Add Earth and Mars Date/Time bar anchored near top center. c. The 'Mars Navigator Tool' is renamed 'Navigator Minimap' and now has two maps stacked up on top of each other. d. Both the Settlement Map and the Navigator Minimap are now displayed inside Map tab. They can be turned on at the click of their buttons on top right. 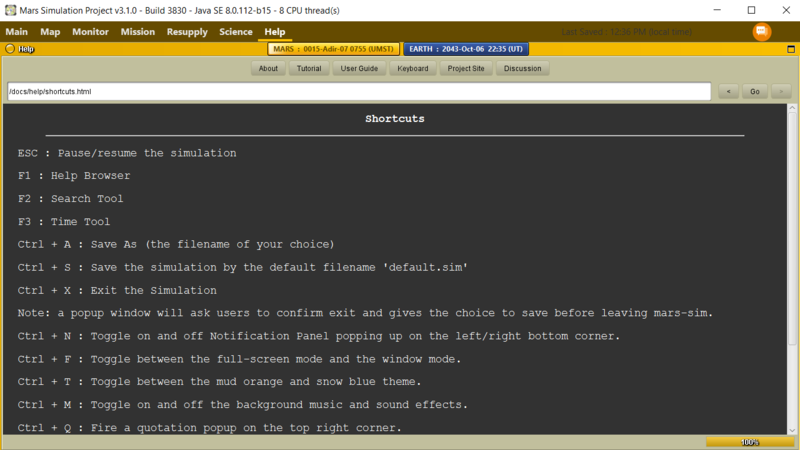 f. Add the use of keyboard shortcuts (see /docs/help/shortcuts.html at Help Browser's User Guide under User Interface). 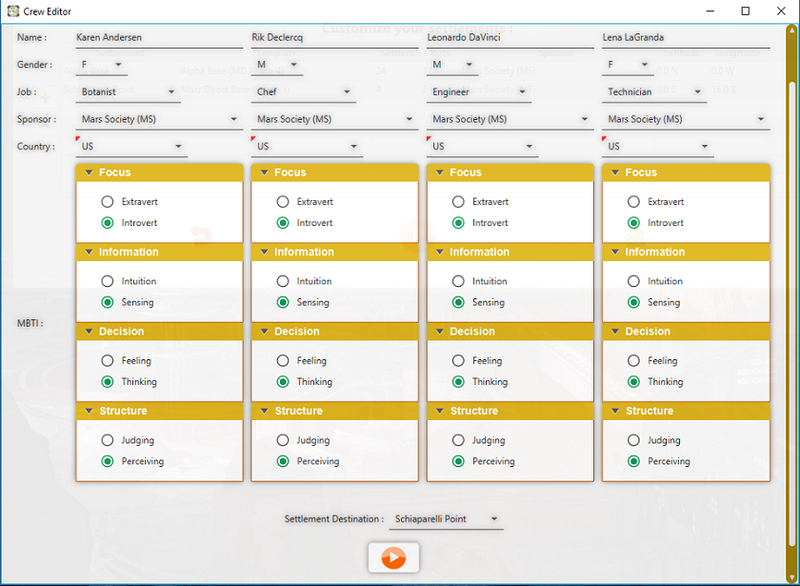 g. Rework Simulation Configuration Editor for choosing one sponsoring space agency for each settlement. 1. Fix bugs in water/waste water consumption and production and use of fertilizer for improving crop yield. 2. Improve the outside temperature variation based on latitude and longitude/day and night/location elevation/season of the year. 3. Modify the initial requirement of starting a construction project (putting together foundation and framing of a building). A lot easier for settler's to get projects going. a. Add user select size of growing area for each crop. Number of crops no longer limited to 5 or 15.
b. Add bee growing and pollination requirement on crop yield. c. Add fungi/algae growing and the use of containment kits. d. Improve simulation of crop's gas exchange when in the presence and absence of photosynthesis and sunlight and water consumption that will affect a crop's harvest modifier. 5. Multi-threading improvements on CPU with less threads and slower speed. 7. Designate specific bed/quarters for each settler. 8. Implement sleep hour habit/pattern for each settler. 9. Improve Alpha Crew Editor by adding the choice of the country of origin and sponsorship. 1. Added new attributes (edible and inedible biomass, crop category, and water content) for crops. 2. Added meals and dessert preparation for facilities having a kitchen such as in Outpost Hub, Lander Hab and Lounge. 3. 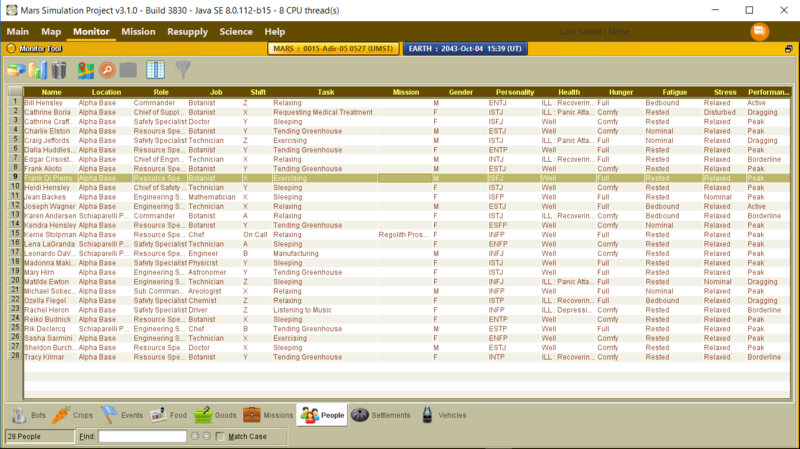 Added a variety of food production processes to keep your Chef busy :) e.g. soybean from a crop can be made into soymilk and tofu, etc. 4. 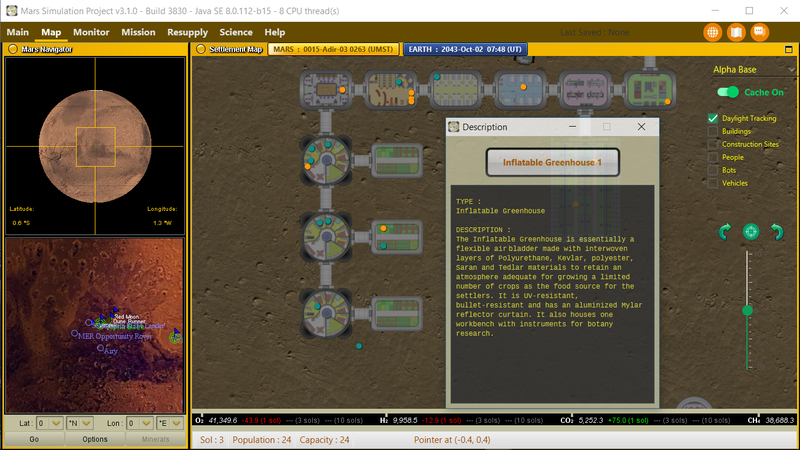 Added 60+ edible food items (including the crops), a majority of which (some must be imported) come from harvesting the food crops grown in the greenhouse and processing them into a diverse number of food items. 5. Added heating system to Lander Hab, Outpost Hub and Greenhouses. It requires power to maintain the optimal room temperature. 6. Added outside temperature and air pressure display on the settlement unit window. 7. Added Transport Wizard in the Resupply Tool that allows custom location of placement of each newly arrived building. 8. Added Alpha Crew Editor that allows users to config the Alpha Crew-- a team of four with customized name, gender, personality, and job when starting the first settlement (Note: other characteristics may be edited in people.xml). 9. Added new activity spots in buildings and vehicles. 10. Added new event notification popup display. 11. Coded the display of the level of a person's health, hunger, fatigue, stress, and performance into 5 levels of description. The numeric values of these metrics are still available in the Health tab of the Person Unit Window . 12. Added a status bar to both the Main Window and Settlement Window. 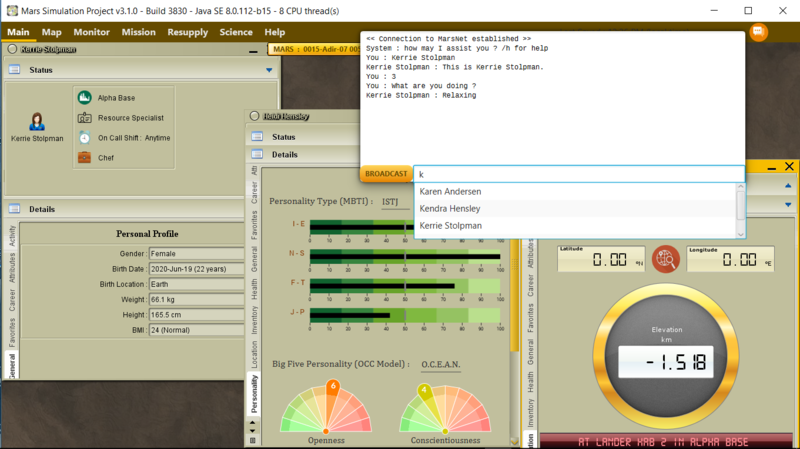 Added Martian time, Earth Time and Memory Usage to the status bar. 13. More internationalization, some UI improvements and bug fixes. We would like to invite you to discuss mars-sim and topics relating to human settlement on Mars in our facebook group. © Mars Simulation Project. By Scott Davis, 2017. All Rights Reserved. Project Website by Manny Kung. Courtesy of HTML5 UP.